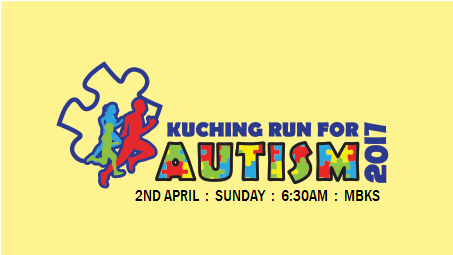 The Kuching Run for Autism 2017 will be taking place on April 2 in conjunction with World Autism Day at the Kuching South City Council office. The 3km and 7km courses begin at 6.30am. This will be second edition of this run, with over 2,000 participants registered in 2016. With the theme “It’s not a disability, it’s a different ability”, the Kuching Autism Association (KAA) is organising this event seek to create understanding and acceptance of Autistic children and adults within the local communities. The KAA provides educational programmes that help students with fine motor skills, basic academia, social skills and self-help to help them gain independence, as well as pre-vocational training in preparing them for working in the future.